The email was signed by Eric Teetsel, who was hired by the Rubio campaign in November to serve as its director of Faith Outreach. It began with a controversial quote made at Roll Call last week by Russell Moore, an advocate of amnesty for illegal aliens, key figure in the George Soros-funded Evangelical Immigration Table (EIT), supporter of increases in Syrian refugee resettlement, one-time staffer to former Democratic Rep. Gene Taylor (D-MS), and current president of the Ethics and Religious Liberty Commission of the Southern Baptist Convention. Notably, the email made no mention of Dr. Ben Carson, an evangelical Christian who, until early November, was leading in the Iowa polls and was challenging GOP frontrunner Donald Trump for the national lead in polls. “Russell Moore, president of the Ethics and Religious Liberty Commission of the Southern Baptist Convention, said Trump, Cruz, and Rubio are appealing to disparate camps of evangelicals,” the Rubio campaign email began. “’I would say that Ted Cruz is leading in the Jerry Falwell wing, Marco Rubio is leading the Billy Graham wing and Trump is leading the Jimmy Swaggart wing,’ Moore said,” the email continued, referencing a statement Moore made to Roll Call in an article published early Friday morning, two hours before the time stamp on the campaign email. 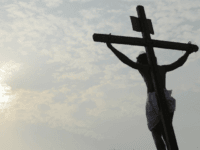 One nationally known evangelical Christian took exception to that characterization. 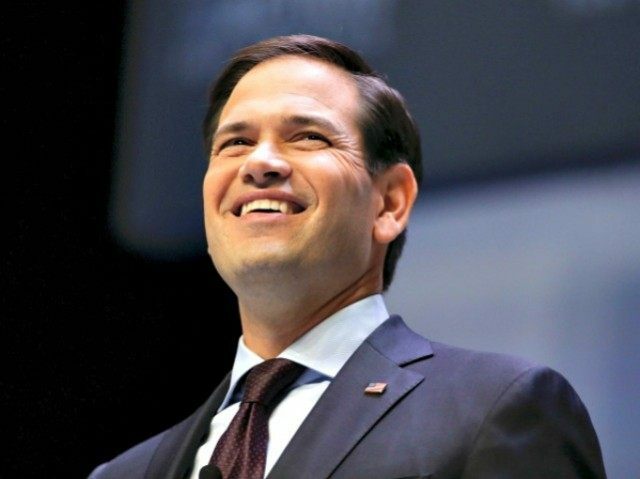 “While I appreciate Marco Rubio’s sincere faith, and would support him if he wins the nomination, this statement by immigration activist Russell Moore is a misguided attempt to use the reputations of Christian leaders for political purposes,” Kelly Monroe Kullberg, editor of Finding God at Harvard and founder of Evangelicals for Biblical Immigration, tells Breitbart News. “I don’t find this tactic fair or helpful to the Church or to evangelical’s discernment in the political process,” Kullberg adds. The notion advanced by the Rubio campaign that the role of a presidential candidate is not merely to persuade voters why the candidate should be selected to head the executive branch, but is also to provide religious leadership to evangelical Christians in the way Billy Graham has for more than seven decades, appears to be at odds with the recent public messages of Franklin Graham, the son of Billy Graham and head of the Billy Graham Evangelistic Association. The younger Graham made it clear when he launched his 50-state “Decision America 2016” in Iowa last week that his purpose was to encourage Christians to participate in the political process by voting for candidates who support Biblical values. He was quite clear that he would not be endorsing any candidate of either party. That choice, he said, should be left to the discernment of individual Christians. It is hard to view the Rubio campaign’s use of Moore’s claim that Donald Trump “is leading the Jimmy Swaggart wing” as an indication of respect for either Trump or the 45 percent of GOP primary voters who self-identify as evangelicals who support him, according to a CNN-ORC poll conducted in December. Swaggart, who during the 1970s and 1980s had a level of national prominence due to his televangelist broadcasts, fell hard in the 1980s when he was at the center of a scandal in which he admitted frequently visiting prostitutes. Today, Swaggart’s broadcast empire is a shadow of its former self. The Rev. Jimmy Swaggart, who last year condemned a fellow television evangelist, Jim Bakker, as ”a cancer on the body of Christ,” today confessed to sins of his own and begged to be forgiven. As Breitbart News reported previously, rank and file evangelicals have long supported Cruz, Trump, and Carson, while self-identified evangelical “elites” have supported Rubio. Conservative icon Richard Viguerie, who was a confidante and friend of Jerry Falwell and part of the close group of Christian activists who helped Falwell launch the Moral Majority in the 1970s, anticipates voting behavior of evangelical Christians in 2016 will be quite different than what the Rubio campaign claims. “If there are three wings of the evangelicals [as Russell Moore claims], Senator Cruz will have strong support in both the Billy Graham and Jimmy Swaggart wings but will totally dominate the Jerry Falwell wing,” Viguerie says. But Viguerie, who has endorsed Ted Cruz, offers this history lesson to the Rubio campaign. “Since I was there when evangelicals began to be politically active in the second half of the 1970’s, I thought a little history might be helpful,” Richard Viguerie tells Breitbart News. For a hundred years prior to the early 1970s, evangelical leaders had urged their followers to shun politics–to be in the world but not of the world. However Rev. Jerry Falwell in the early 1970s began to lead and teach evangelicals to register, to be politically active and to vote. I remember seeing Rev. Falwell lead an effort to register people in his church and saying that there wasn’t an elected Democrate within 50 miles of his church in Lynchburg, Virginia. “However under Rev. Falwell’s leadership, a third leg of the stool was added and of course that was the cultural issues. Then everything began to change for the GOP including electing Ronald Reagan president in a landslide and taking control of the US Senate in 1980,” Viguerie notes. “Senator Cruz’s father Rev. Rafael Cruz was a foot shoulder in Rev. Falwell’s Moral Majority army in the late 1970’s and 1980’s and was part of the 18,000 religious leaders who gathered in Dallas, Texas, in 1980 for a public affairs briefing that Ronald Reagan spoke at and famously said ‘I know you can’t endorse me but I endorse you,'” Viguerie adds. Russell Moore, president of the Ethics and Religious Liberty Commission of the Southern Baptist Convention, said Trump, Cruz and Rubio are appealing to disparate camps of evangelicals. As far as Rubio’s outreach to the ‘Billy Graham’ wing, this week the presidential hopeful announced a religious liberty advisory board that includes Rick Warren, the founding pastor at Saddleback Church. Our goal is eternity, the ability to live alongside our Creator for all time. To accept the free gift of salvation offered to us by Jesus Christ. The struggle on a daily basis as a Christian is to remind ourselves of this. The purpose of our life is to cooperate with God’s plan. I try to allow that to influence me in everything that I do. Marco has often spoken about his faith on the campaign trail, and has spoken about being faithful in all aspects of life — public and private. Cruz has largely followed the classic Moral Majority model that was the face of the conservative movement — he has received endorsements from figures such as Focus on the Family founder James Dobson — while Trump “tends to work most closely with the prosperity wing of Pentecostalism” which tends to believe that God would financially reward believers. That last characterization attributed to Moore—that Trump “tends to work most closely with the prosperity wing of Pentecostalism” appears to be an assertion made without any supporting evidence. The Rubio campaign’s prominent use of Russell Moore and other evangelicals associated with the EIT—in particular, the Rev. Sammy Rodriquez, recently named to the Rubio campaign religious liberty advisory board—draws attention to his consistent past support of pro-amnesty policies. In December the EIT, “released a six-point appeal… calling on Congress to bring even more Syrian and other refugees to the U.S,” as Breitbart News reported at the time. As the February 1 Iowa caucuses draw near, the Rubio campaign is likely to continue its attempts to attract evangelical caucus goers, who have historically comprised over half of the attendees. The most recent Iowa poll, conducted by Marist between January 2 and 7, indicates that Sen. Ted Cruz, with 28 percent, remains slightly ahead of Donald Trump in Iowa at 24 percent. Rubio remains in third with 13 percent.